Begin your journey to wellness here! Are You Ready to Take the First Steps on Your Road to Wellness? Are you searching for clarity on any chronic health conditions and what their underlying causes are? Not sure where to begin? Take my self-assessments to help you narrow in on the areas of your health that are underlying your current health issues. Whether it’s emotional, nutritional or hormonal, you'll discover that my program will help you identify your weakest systems and put you on the direction to wellness. 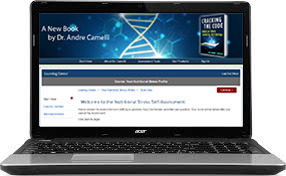 Create your Free Account and Gain Access to our Self-Assessment Tools! Website Design and Marketing with Intention by FULL PARTNER.